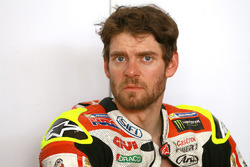 Cal Crutchlow was left fuming at his ride-through penalty in MotoGP's Argentina race, as he claimed the likes of Marc Marquez and Valentino Rossi wouldn't have been penalised in the same case. 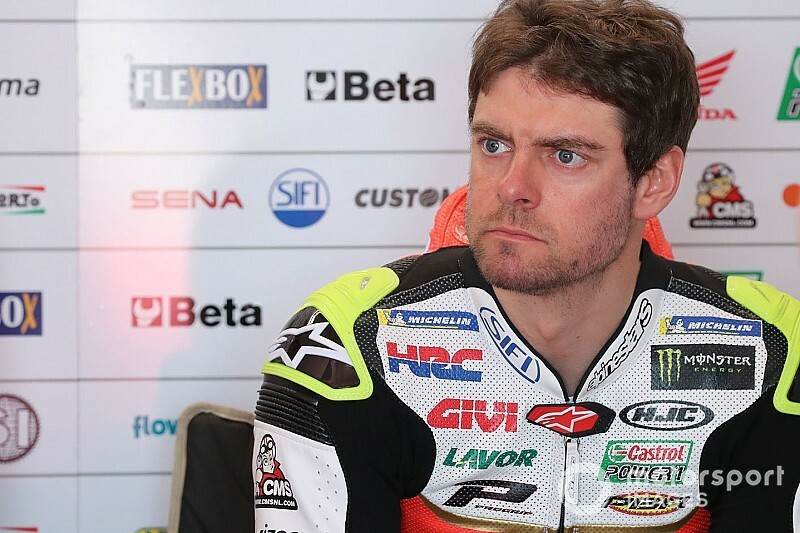 Crutchlow was penalised for jumping the start, which dropped the Briton to the back of the order, and after that he could only recover to 12th place. After the race, the Briton went straight to race direction to question his penalty, which he doesn't believe he deserved. MotoGP regulations stipulate that the bike "must be stationary at the time the red lights are turned off", but allow for some leeway. "In the case of a minor movement and subsequent stop whilst the red lights are on, the designated officials will be the sole judge of whether an advantage has been gained," the regulations read. Crutchlow explained that the penalty came about because he was "balancing" his bike with his foot within his grid slot, which caused small movements. He said he was shown side-camera footage by the stewards, but insisted he moved "not even a centimetre". The Briton added he feels high-profile names such as Marquez, Rossi or Andrea Dovizioso wouldn't be penalised for the same thing. "We are disappointed with the outcome of the race with regards to my ride through-penalty for what they said was an infringement for jumping the start, which we don't agree with, at all," said Crutchlow. "Nobody in my team, or anybody who has seen it agrees with it, except for the stewards. "My problem that I have with the race direction is I don't believe they would have given this penalty to Marc or Vale, Dovi or someone like that. "I'm not picking on Valentino or anyone, I am talking about somebody with a high profile. Say Marc did that and he was leading the race, do you think [the stewards] would have given him a ride through? "I don't. That is my opinion." Crutchlow was particularly critical of two-time 500cc champion Freddie Spencer, who was made chairman of the FIM MotoGP stewards this year. "When I went up there, Freddie Spencer didn't say one word to me, just stood there with his arm folded," Crutchlow continued. "When it is sure brought up in the safety commission in the next grand prix, when we show him the videos the other riders will laugh and they will then lose the respect for him as well. "I have utmost respect for him as a rider but the Safety Commission, we ask for somebody that understands racing and is going to have some discretion. "It is just ridiculous, absolutely ridiculous. "They didn't say anything, they didn't say one word to me the time I was in there. I was in there 10 minutes complaining and saying that I was not moving, my whole team was, and not one of them said one word. "It sounds like I am on an absolute rampage and attack against them, but you have to understand the way that I am feeling and the way that, every single person that I've asked sees it on TV, he is feeling the same feeling - that I never jumped the start."